If there was one thing Dan Bylsma did well as the head coach of the Pittsburgh Penguins, it was getting the Pens into the playoffs among the highest point totals in the Eastern Conference. He'll get another chance to help them towards that goal, but this time as the head coach of the Buffalo Sabres. The Penguins face a rare match-up outside the Metropolitan Division as well as one of the few remaining contests they have against a non-playoff team when the face the Sabres. It's the third and final game between the teams this year, and the Penguins will look to sweep the season series after taking down a pair of 4-3 wins against Buffalo earlier in the year. Optimism ran rampant in Buffalo this offseason as the Sabres made a number of changes to arguably the worst team in recent NHL history. While the dreamers whispered playoffs the reality was that the 2015-16 Buffalo Sabres would fall well short of that lofty goal, but it wasn't due to the offseason acquisitions that had caused so much excitement among the fanbase. Like Bylsma's best teams in Pittsburgh, these Sabres are strong down the middle. They're led in scoring by Ryan O'Reilly with 57 points. 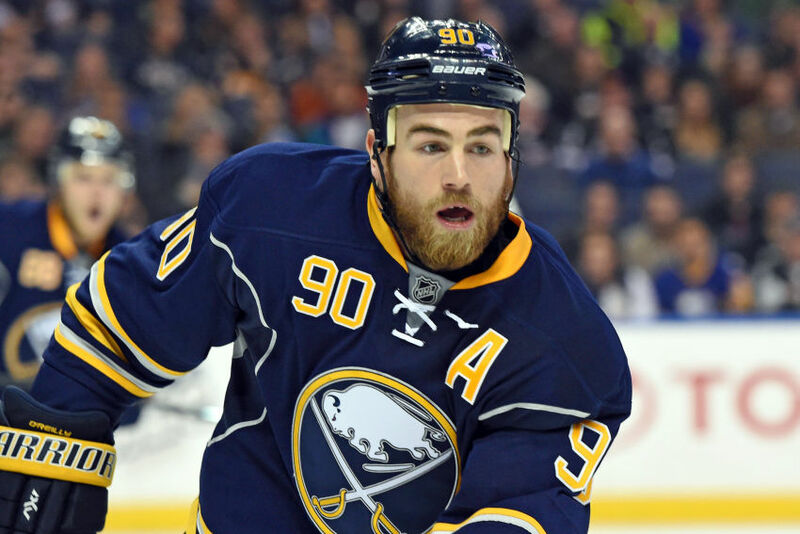 The Sabres acquired O'Reilly and defenseman Jamie McGinn in a blockbuster at the draft in exchange for Mikahil Grigorenko, Nikita Zadorov, JT Compher, and the 31st overall pick, and O'Reilly has quickly established himself as one of Buffalo's best options centering the top line. Their 2nd line center is no slouch himself, and Buffalo acquired him on the same day as O'Reilly. The Sabres selected Jack Eichel with the 2nd overall pick in the 2015 draft out of Boston University, and not only has the rookie made the team as a 19 year old, he's second in scoring behind O'Reilly with 23 goals and 27 assists. It's another former 2nd overall pick, Sam Reinhart in 2014, who is next on the list for the Sabres, tied for 3rd with 40 points through 73 games played. While Reinhart is a natural center, he's been playing on the wing this year, splitting time between the first and second line. The 20-year-old rookie adds to an impressive collection of talented youngsters, and his positional flexibility will give Bylsma the option to load up the top 6 or spread the three throughout his lineup like he did in Pittsburgh. Despite the success of some of the new additions, it was the loss of another player they traded for this offseason that might have doomed Buffalo's season the most. The Sabres acquired Robin Lehner and David Legwand from the Ottawa Senators for the 21st overall selection in the 2015 draft, but Lehner sustained a high ankle sprain in the team's opener and wasn't able to return until the middle of January when Buffalo was effectively out of the running. He's played well since his return, with a 0.924 SV% and 2.47 GAA on the season, but he'll need to wait until next year to be the number one goalie who leads Buffalo back to the postseason like the organization had hoped. - The Pittsburgh Penguins demoted Oskar Sundqvist back to Wilkes-Barre yesterday as both Nick Bonino and Chris Kunitz have returned to the lineup. - The Penguins nabbed one of the top NCAA free agents when they signed St Cloud State defenseman Ethan Prow to a 2 year entry level contract starting next season and an amateur try out starting immediately with Wilkes-Barre.